Sign up to receive occasional emails about upcoming publications, events and more! Socialist Books @ Socialism 2017! Socialism 2017 is going to be an excellent weekend of socialist discussion and debate, taking place this weekend (11 & 12 November) at the Institute of Education in central London. You can find out full details over on the Socialism 2017 website. Alongside our stall (and all the marxist classics from Left Books) running throughout the weekend, Socialist Books will be holding a few special events, Socialism 2017 offers and opening pre-orders for our upcoming publication, Trotsky in 1917! 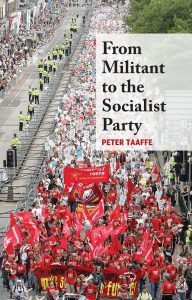 Before Socialism 2017 begins, we will be holding a special event with Peter Taaffe, author of From Militant to the Socialist Party. 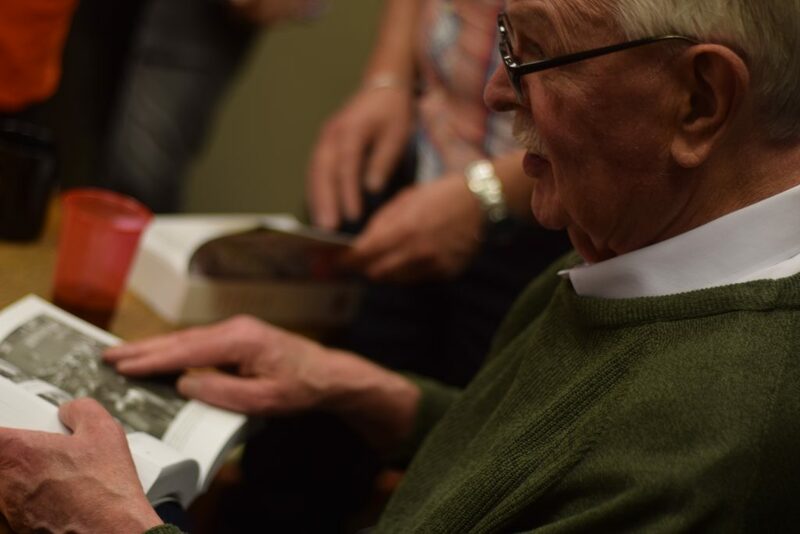 At 2pm on the Saturday, by the bookshop on the lower ground floor, we will hold a special event where Peter will discuss the book and be available for signings. There is also a special Socialism 2017 offer on sales of From Militant to the Socialist Party; buy the book for £15, and choose from a copy of either of the following; The Masses Arise by Peter Taaffe; Socialism in the 21st century by Hannah Sell; Trotsky on World War One by Leon Trotsky for free! 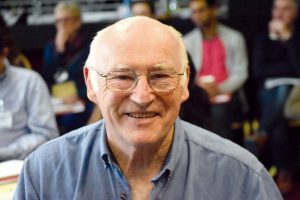 Peter Taaffe will also be speaking in one of the Saturday Socialism 2017 sessions – What is the legacy of the 1917 October revolution? 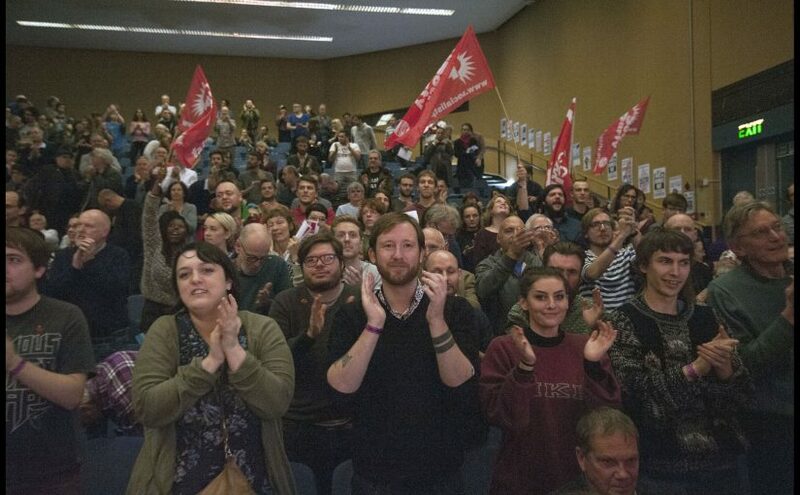 – and at the Saturday evening rally alongside US socialist Kshama Sawant, Ian Mearns MP, Juan Ignacio Ramos on the fight against austerity and capitalism in the Spanish state and more! At 5pm on the Saturday of Socialism 2017, following on from the first set of sessions, we will hold an event with Judy Beishon, author of the introduction to Socialist Books edition of Lessons of October. Trotsky wrote Lessons of October to draw out the main lessons of 1917, and how the Bolsheviks led the Russian revolution. Judy will introduce Lessons, and there will be a chance to discuss and ask questions about the book. Judy will also be speaking at Socialism 2017; on Sunday morning on Will there always be war in the Middle East? and on Sunday afternoon on Universal Basic Income and the gig economy – What can lift workers out of poverty? 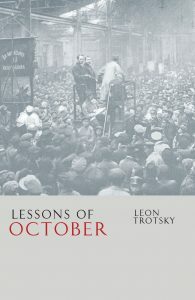 Trotsky originally wrote Lessons of October as an introduction to his collected works from 1917. 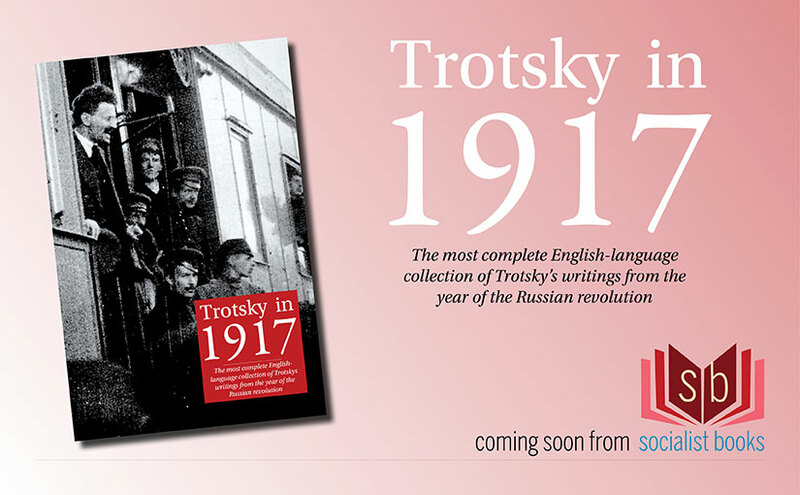 Socialist Books is proud to announce that our next title, Trotsky in 1917, will be the most complete English-language collection of Trotsky’s writings from that year. We will be opening pre-orders at Socialism 2017; and then more widely afterwards. 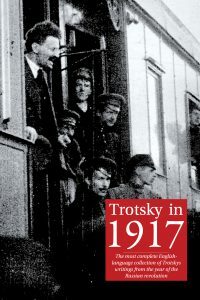 The cover price of Trotsky in 1917 will be £12.50 – however, for pre-orders we will be charging £10. Comrades will be able to order Trotsky in 1917 at the Socialist Books stall throughout the weekend, and we’re aiming to have the book with you by Christmas! And as another Socialism 2017 special offer, for £12.50 you can pre-order Trotsky in 1917; and get a copy of Lessons of October at half price! Want to get an introduction to Trotsky’s ideas? The Socialism 2017 session Lessons of October: are Trotsky’s ideas still relevant? might be for you! But the discussions throughout the weekend, the sessions, rallies and chats throughout the weekend are an excellent event for socialists. We hope to see you there! On the centenary of the Russian revolution, Socialist Books is proud to present a sneak peek of our upcoming new publication – Trotsky in 1917. This will be the most complete English-language collection of Trotsky’s writings from the year of the Russian revolution, the great majority of which are translated for the first time. We will have more details soon, and will be launching sales at Socialism 2017. In the meantime, below we are publishing a new translation of Trotsky’s speech to the Petrograd Soviet, given on 25 October (Julian calendar) 1917. And if this whets your appetite, why not pick up a copy of Lessons of October, originally written by Trotsky as the introduction to his collected works of 1917 and recently reproduced by Socialist Books. They said that an insurrection of the garrison at the present time would lead to a pogrom and drown the revolution in rivers of blood. So far it has been bloodless. We do not know of a single victim. In the history of the revolutionary movement I do not know of an example where such huge masses were involved and which passed off bloodlessly. The authority of the Provisional Government headed by Kerensky was dead, waiting to be swept away by the broom of history. We must acknowledge the heroism and dedication of the Petrograd soldiers and workers. Here, we were up all night, and on the telephones followed how detachments of revolutionary soldiers and workers’ guards quietly went about their task. The inhabitants slept peacefully and didn’t know that during this time one power was being replaced by another. The stations, post, telegraph, the Petrograd telegram agency, and the state bank are occupied. (Stormy applause) The Winter Palace is not yet taken, but its fate will be decided in the course of the next few minutes. (Applause) The Petrograd Soviet of Workers’ and Soldiers’ Deputies is right to be proud of the soldiers and workers who it relies on, and who it led into battle to a glorious victory. The nature of bourgeois and petit-bourgeois governments is to deceive the masses. For us now – for us, the Soviets of Soldiers’ Workers’ and Peasants’ Deputies – the test is posed, unprecedented in history, of the creation of a government which will have no other aim than the satisfaction of the needs of the soldiers, workers and peasants. The state must be the instrument of the masses in the struggle for their emancipation from all slavery. The best forces of bourgeois science will understand that the conditions created by the Soviets of Soldiers’ Workers’ and Peasants’ Deputies will be the best for their work. It is imperative to establish control over production. The peasants, workers and soldiers must feel that the national economy is their economy. This is the basic principle of constructing power. The introduction of universal labour service is an urgent task of a genuine revolutionary government. Next, comrade Trotsky says that on the agenda is a statement of the Military Revolutionary Committee and a statement on the tasks of the Soviet power. The speaker on the second item will be comrade Lenin. (Thunderous applause) Comrade Trotsky announces that political prisoners have been released and several of them are already carrying out the duties of revolutionary commissars. Comrade Trotsky says that comrade Zinoviev will also be a guest at today’s meeting of the Petrograd Soviet. During the night, telegrams about the real situation were sent in the name of the Petrograd Soviet to all Russia. Radio-telegrams have been sent to the serving army about the fall of the old government and the imminent formation of a new one. The first steps of the new government must be the following: an immediate truce on all fronts, the transfer of land to the peasants, the speediest convocation of a genuine, democratic Constituent Assembly. The whereabouts of the former minister-president, Kerensky, are unknown but we believe that they will soon be known. To a question about the attitude of the front to the events, comrade Trotsky replies that we have only been able to send telegrams. No reply has yet been received but we have heard many times here from representatives of the front who have reproached us for, so far, not taking decisive steps. With us now is Vladimir Ilyich Lenin, who due to a whole series of factors could not be among us until this moment. One of the immediate tasks of the Military Revolutionary Committee is to send a delegation to the front to inform it about the revolution in Petrograd. The Petrograd Soviet must designate commissars from its ranks to send to the fronts. The Military Revolutionary Committee and its members cannot make a report now because it is occupied all the time with urgent work. I can report that a telegram has just been received that troops are moving up to Petrograd from the front. The dispatch of commissars is vital, it would be criminal from our side not to send out revolutionary commissars to the whole country to tell the broad masses about the events. (Voice: “You are predetermining the will of the All-Russia Congress of Soviets.”) The will of the All-Russia Congress of Soviets was predetermined by the great fact of the insurrection of the Petrograd workers and soldiers that took place tonight. Now it remains only to consolidate our victory. The Pre-Parliament was a body with very little democratic legitimacy, that had been set up shortly beforehand by opponents of the Soviets. G. Zinoviev, a close associate of Lenin, had been with him in hiding until 25th October. This section is from a second speech made by Trotsky at the same meeting. 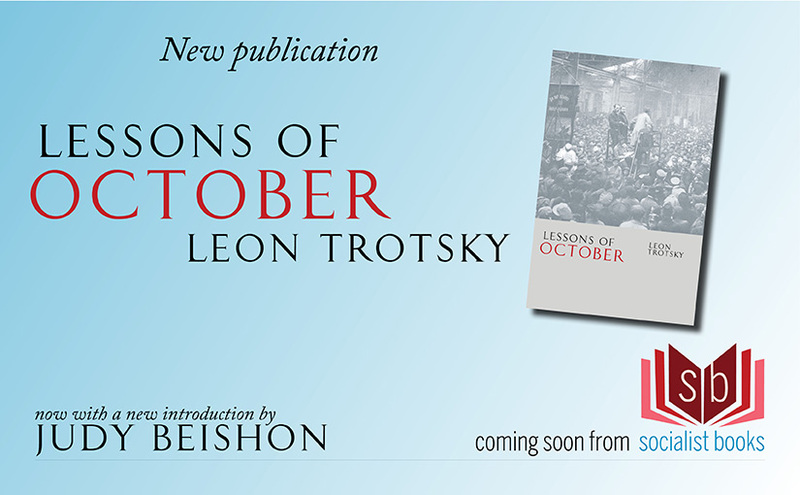 Socialist Books is proud to announce that our second publication is Lessons of October, by Leon Trotsky. This book opens with “We met with success in the October revolution, but the October revolution has met with little success in our press” – on the centenary of the Russian revolution, Socialist Books argues that the importance of the Russian revolution has only grown. You can order Lessons of October here, and receive your copy when it is returned from the printers on 26 September. This edition comes with a new introduction from Judy Beishon, a member of the Executive Committee of the Socialist Party (England and Wales) and a member of the International Executive Committee of the Committee for a Workers’ International (CWI). The Russian revolution of 1917 removed the brutal tsarist dictatorship and saw workers and peasants take charge of their destiny. The impact was felt around the world, inspiring a wave of revolutionary movements throughout Europe and beyond. While the new workers’ state successfully defended itself from the invading armies, bent on snuffing out workers’ rule, the western revolutionary movements tragically failed and Russia was left isolated. In Lessons of October, Leon Trotsky – together with Lenin a leader of the revolution – sought to draw out why the Russian revolution had succeeded, while other revolutionary moments had been missed. In particular, Trotsky looks at the role of the Bolshevik party and offers an insightful and frank examination of the difficulties and successes of developing a political programme offering a way forwards in the midst of the tumultuous and fast-moving events of 1917. Writing to aid the fight for international socialism, Lessons of October provoked a series of attacks from the developing bureaucracy around Stalin, whose past mistakes Trotsky was exploring. Lessons of October is essential reading to understand the real history of the Bolsheviks and the October revolution, as well as the first-hand experience vital for the fight for socialism today. Lessons of October will be available from September 26 – pre-order it today to get free shipping! Socialist Books at Socialism 2017! Socialism 2017 will bring together working class fighters, trade unionists and youth and student activists, anti-cuts campaigners, those who want to find out about socialism and Marxism, and people who want to change the world, for a weekend of discussion and debate on the alternative to capitalist crisis. Rally speakers will include From Militant to the Socialist Party author Peter Taaffe, Labour MP and Corbyn supporter Ian Mearns, US Socialist Alternative councillor Kshama Sawant, Irish TD Paul Murphy and many more throughout the weekend. You can find out more about Socialism 2017, and book tickets, over on their website. Socialist Books will have a stall open throughout the Socialism 2017 weekend, and there will be a chance to pick up our publications alongside a wide selection of books available from Left Books. 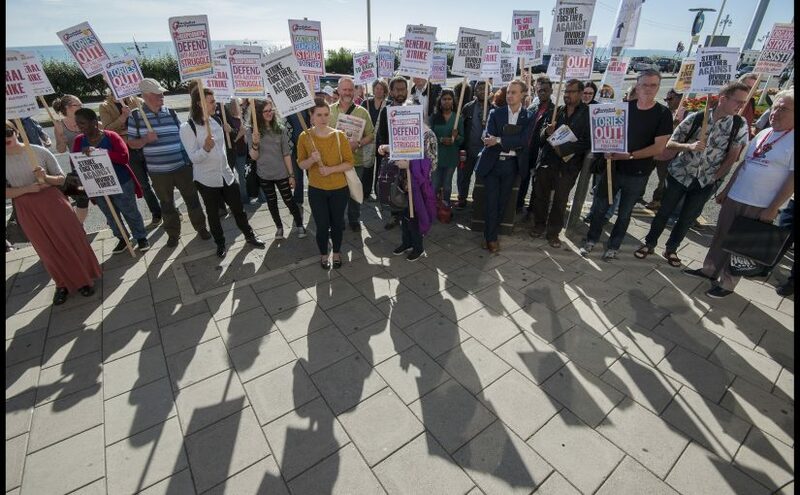 Len Hockey Secretary Unite Barts NHS Trust branch – currently on strike. …and other workers in dispute! To find out more about the lobby, see the National Shop Stewards Network website here, and the facebook event here. 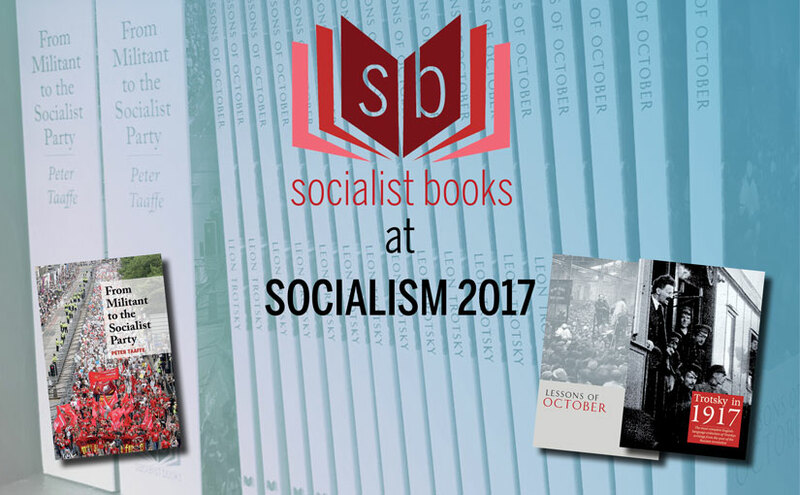 Be sure to stop by the Socialist Books stall, to pick up your copy of From Militant to the Socialist Party, pre-order our new publication Lessons of October, and more! From Militant to the Socialist Party, out now! 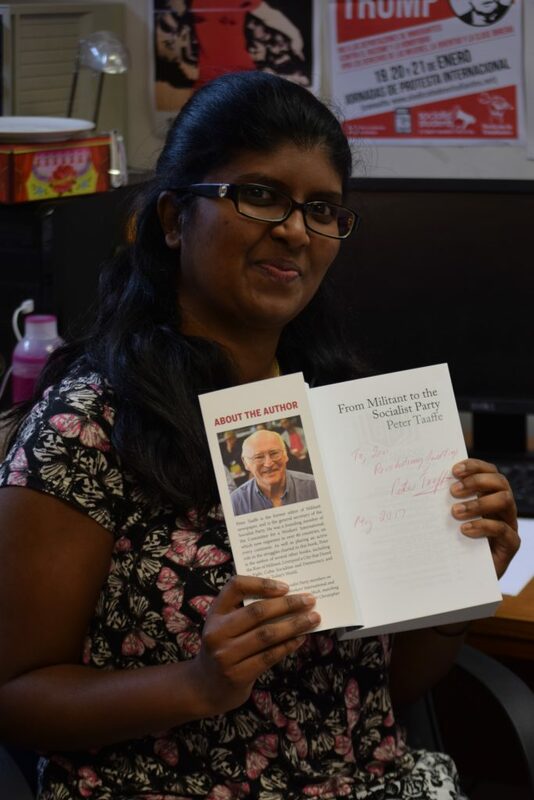 From Militant to the Socialist Party arrived back from the printers on Friday 19 May. 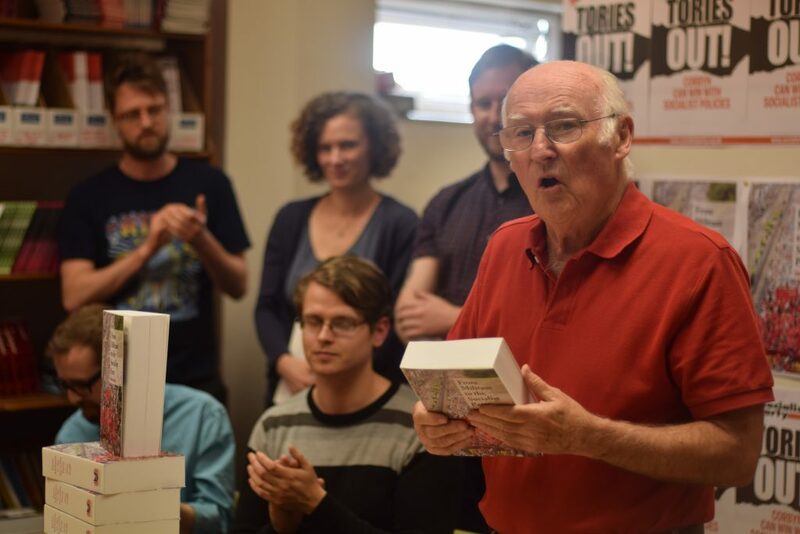 To mark the occasion, author Peter Taaffe spoke to Socialist Party members. There will be a London-wide launch on May 25, an excellent opportunity to hear from Peter and get your copy signed! 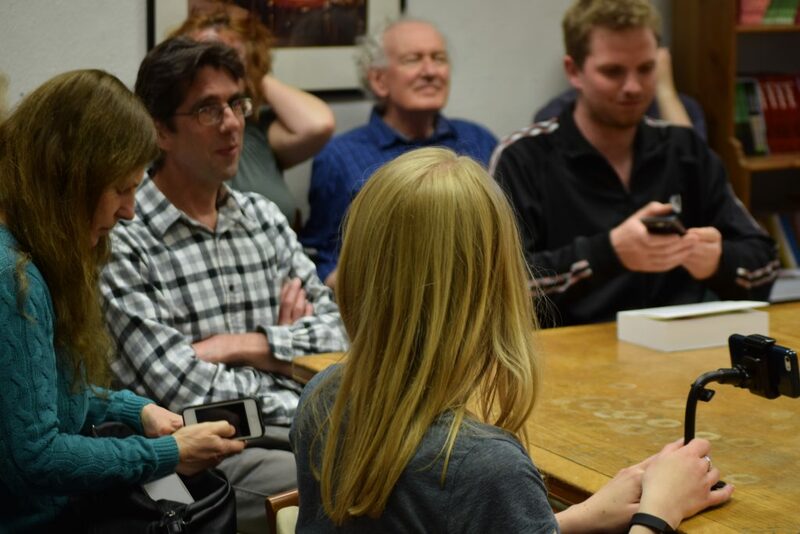 Below is a video and photographs from the event. All photographs from Mary Finch. Signing From Militant to the Socialist Party. Photo Mary Finch. From Militant to the Socialist Party signing. Photo Mary Finch. With a signed copy. Photo Mary Finch. 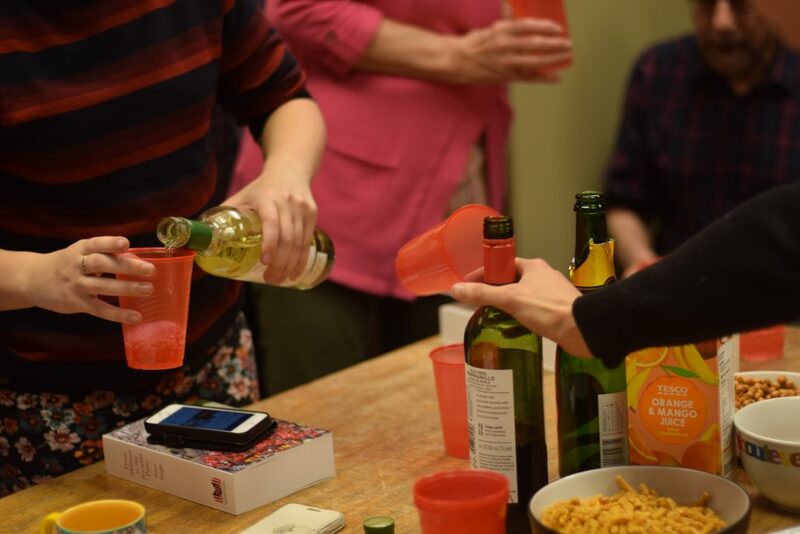 A few light refreshments to celebrate. Photo Mary Finch. Perfect with a cup of tea! Photo Mary Finch. 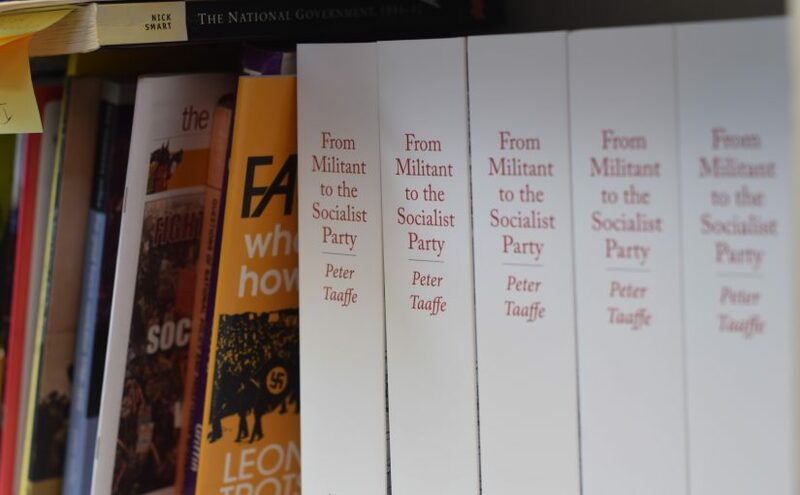 Author Peter Taaffe with From Militant to the Socialist Party. Photo Mary Finch. Just two weeks before the general election a new book, From Militant to the Socialist Party, will be released. It tracks developments from the Blairite takeover of Labour to the first rumblings of the world economic crisis of 2007-08, and is the sequel to The Rise of Militant. It is an extremely timely release with people heading to the polls in June. Only by clearly putting forward a radical anti-austerity programme will Jeremy Corbyn be able to lead Labour to victory in this election. His clear call for voters to elect a Labour Party that “is standing up for working people to improve the lives of all” was a good start. Author Peter Taaffe will be speaking, and there will be a chance to ask questions, buy your copy and get it signed. 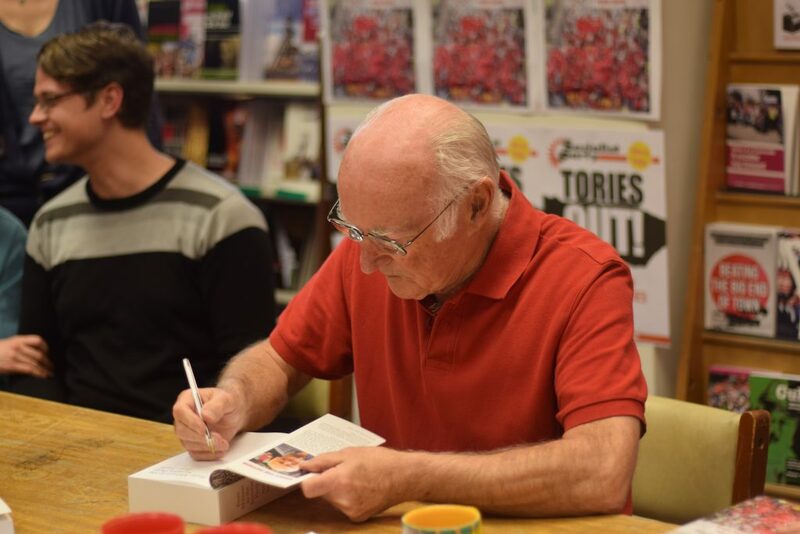 From Militant to the Socialist Party covers developments from the Blairite takeover of Labour to the first rumblings of the world economic crisis of 2007-08, and is the sequel to The Rise of Militant. In the aftermath of the collapse of the Stalinist regimes, capitalism’s representatives proclaimed ‘the end of history’. But the struggles of workers and young people continued. From the Liverpool Dockers’ strike to the mass movements against the invasion of Iraq, this book records the fightback and highlights the lessons of these movements for today. As Blair and New Labour implemented neo-liberal policies, the fight for working-class political representation was, and is, a fundamental battle charted out here. As right-wing trade union leaders preached partnership with the bosses, trade union militants showed that a fighting strategy was possible. This book is not written from the point of view of the sidelines, but by an active participant. 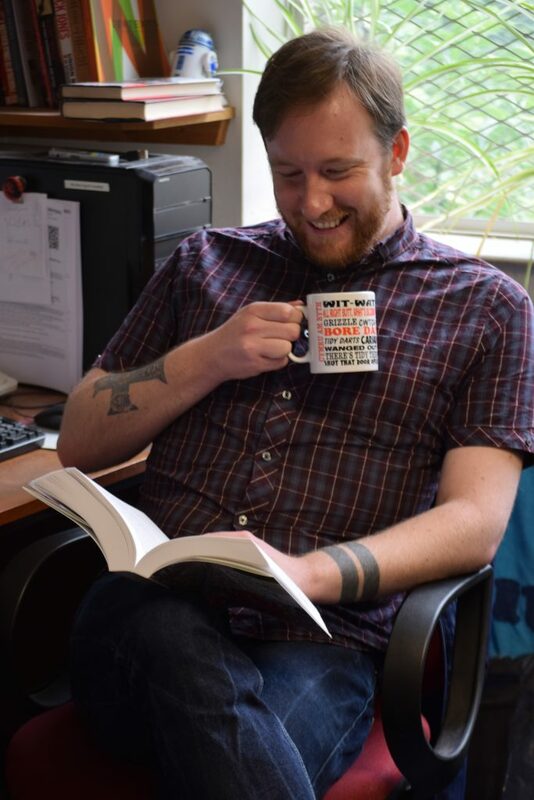 From Militant to the Socialist Party offers unique insight into how Marxists organised and the programme and strategy put forward at key stages of the struggle. 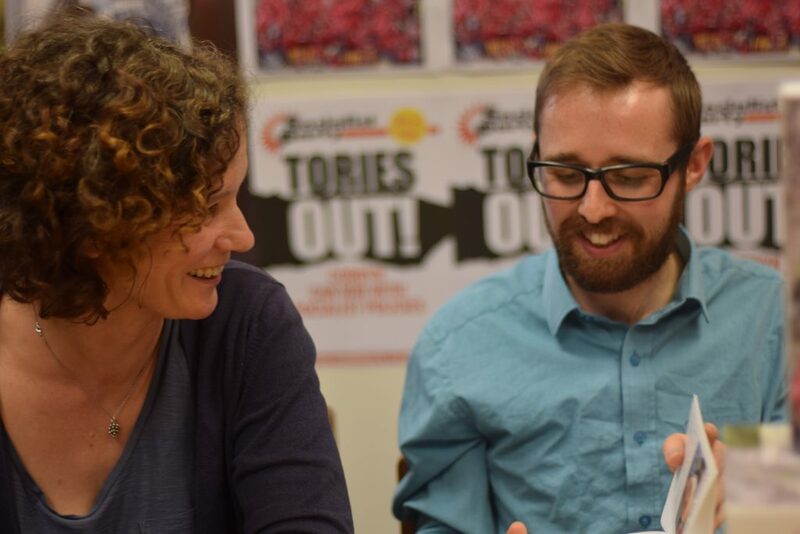 The crucial discussions and debate among socialists as to the best way forward are explored, to provide key lessons for those who want to build support for socialist ideas today. 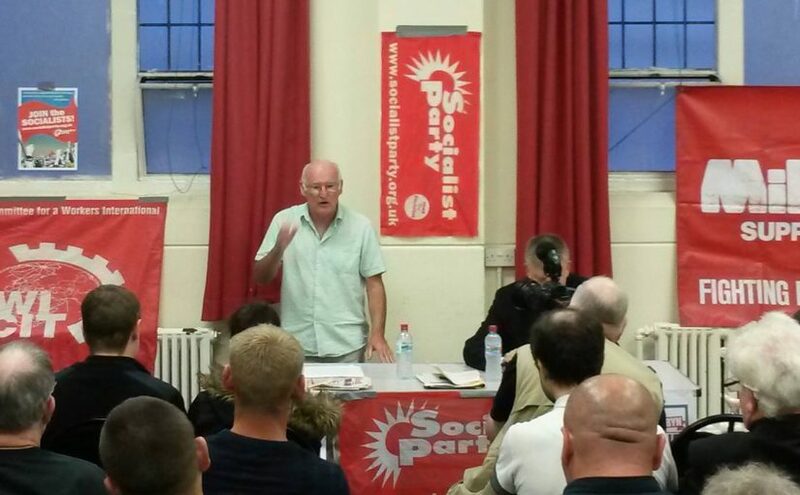 Peter Taaffe is the former editor of Militant newspaper, and is the general secretary of the Socialist Party. He was a founding member of the Committee for a Workers’ International, which now organises in over 40 countries, on every continent. 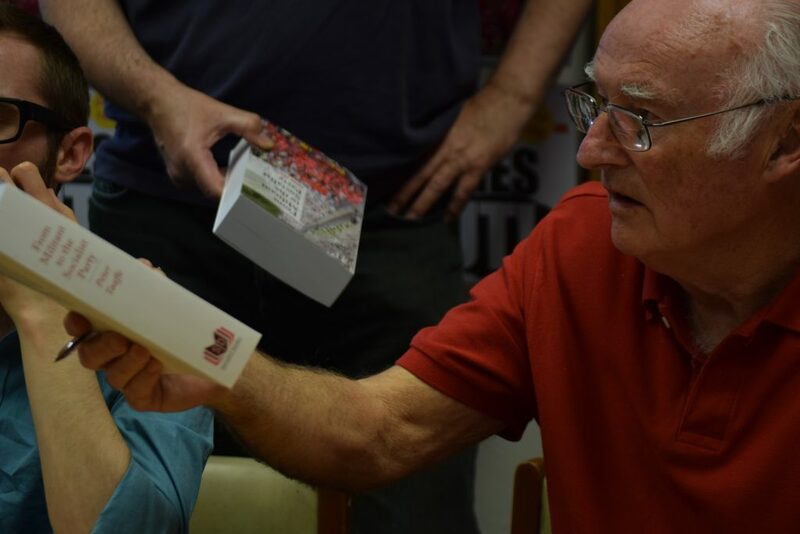 As well as playing an active role in the struggles charted in this book, Peter is the author of several other books, including the Rise of Militant, Liverpool a City that Dared to Fight, Cuba: Socialism and Democracy, and Marxism in Today’s World. 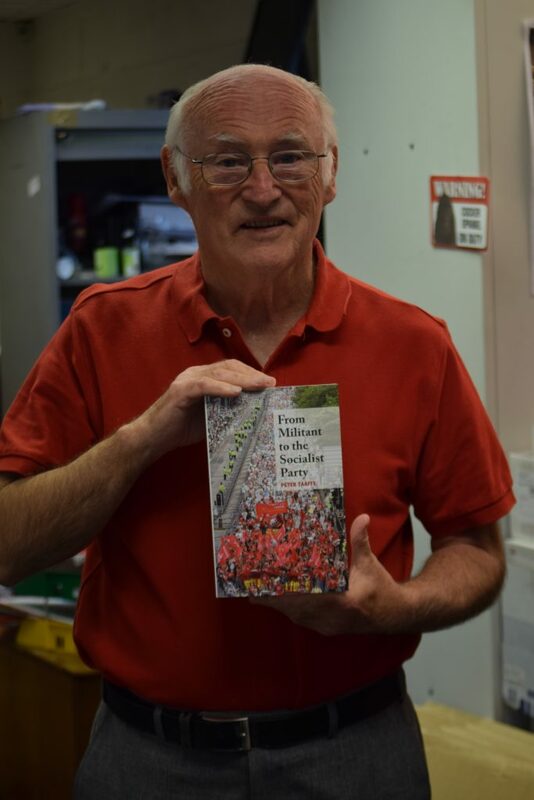 From Militant to the Socialist Party is available from our sister bookshop Left Books – order before 19 May and get the pre-order discount!